Any issues like uneven bonding, bubbles, feature deformation can be overcome by adjusting the above parameters. More on these common mistakes, once I have covered the basic process. 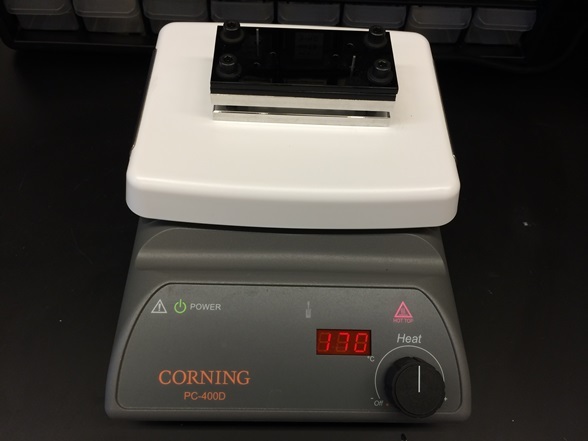 The bottom plate is heated using the hot plate as shown in the above image. 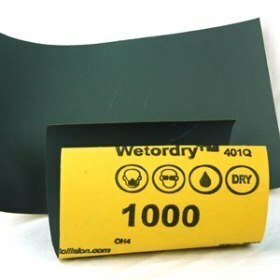 During the bonding process, the hot bottom plate transfers all of its surface marks on the acrylic surface. Therefore it is important the bottom plate has mirror like finish. To obtain mirror like finish, I used sanding sheets (grit 400 followed by grit 1000). 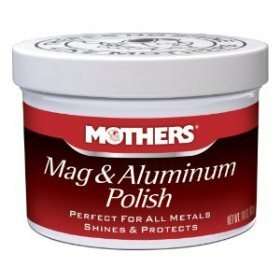 Finally, I applied aluminum polish shown in the image below. 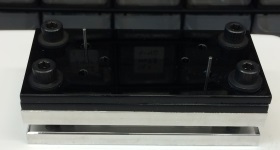 Place the closing side of the microfluidic cartridge on the bottom plate (left image). 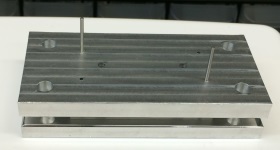 Then, place the part with open channels on top of the closing surface, as shown in the right image. For precise alignment of the two surfaces, I used dowel pins. 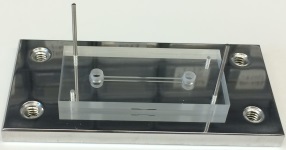 These dowel pins also come in handy during ejection process, after the microfluidic part has been firmly bonded. PMMA starts softening at 105 deg C (glass point). Further its structural integrity can be warranted till 180 deg C, and thus the decision to choose a temperature slightly lower than that. Turn off the hot plate after 45 minutes, and allow the system to cool. After unscrewing, you can put pressure on the dowel pins against any firm surface to eject the aluminum plates. 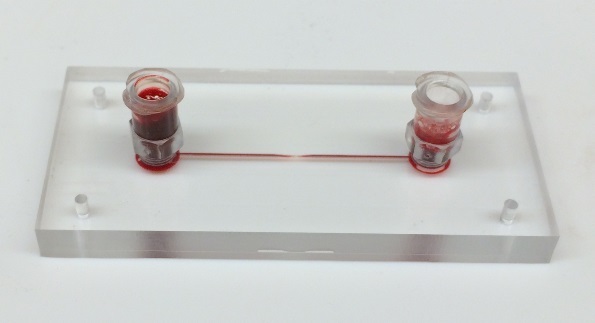 You may now adore the bonded microfluidic cartridge. As you can tell from the above image, it is hard even to tell apart the seam. 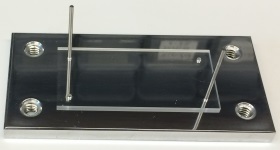 I carved an open channel on the edge, in order to conveniently measure the deformation with microscope. Bubbles on the Bonding Interface: This implies that the pressure distribution is not uniform. In my first iteration, I was applying pressure using only two screws - one each on the middle of the two short and opposing edges. The assumption was that with the cartridge being only 30 mm wide, two screws might be sufficient. I was able to resolve this issue, by moving to four screws, placed at each corner. Cartridge sticking to bottom aluminum plate: This implies that the temperature is too much. Try lowering the temperature in 5 deg increments, till the problem goes away. Feature deformation: This also happens when temperature is too much. Lower the temperature in 5 deg increments, till the problem goes away. Hope this helps. Happy bonding! 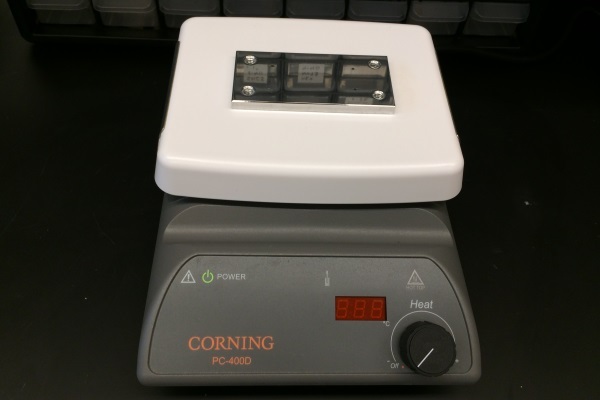 Special thanks to Christopher Phaneuf for pointing me towards thermal bonding process, and Marty Jacobson for his immense help in the machine shop. I wanted to thank you for posting this. 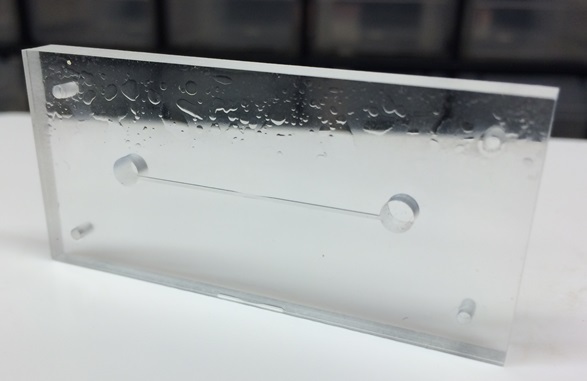 It has been immense help to me as I start using acrylic in my microfluidics lab at Stanford. Also, I wanted to ask what you used to engrave the microfluidic device? I've been using a laser cutter. How deep are your engravings-- they look great! Good to hear that the post was useful to you. I micro-machined the acrylic surface using a CNC. Laser cutters don't provide the surface finish that I was looking for. The channels are 100 microns deep. Ah I see, thank you. I'm planning on using a laser cutter to cut through a 200 um thick sheet of acrylic, so I have 3 layers instead of the two you have. I'll send you a picture of a device when I'm done! Great. I haven't tried thermal bonding over 3 layers. I had some concerns going that route for my specific project, but those might not be relevant for your application. Let me know how it works out....Best Wishes! Excellent protocol. I was curious if you could explain the two black plates, shown in step 4, that are placed on the top aluminum plate. What is the material and what purpose do they serve? Also, have you considered using copper for its heat transfer properties? Sorry didn't see your message any earlier. The black plates is just a spacer to accommodate the screw length. 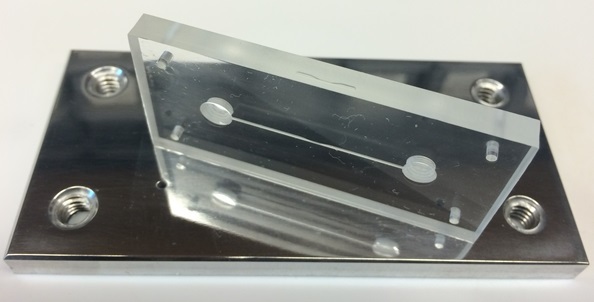 We were also able to significantly improve the above thermal bonding technique via chloroform vapor deposition on both bonding surfaces. I plan to write about that in another blog post. Hi, very informative and interesting article!!! Thanks a lot for posting. What are the connectors you use for the fluid hoses? and how do you attach them? Hi Spaceth - Glad I could be of help! I also used a teflon tape to avoid any leaking on the threaded part.